Seriously, hold the honey: Should vegans stick to their guns? In the all-things-veg guide that hit boxes and stands last Thursday, I surveyed 17 vegans, vegetarians, and meat-eaters about the health benefits of an all-veg diet, as well as favorite recipes, biggest vices, and local resources. It was a broad sweep of participants and questions, as to allow each answer to head in different directions. I generally steered clear of precise ethical questions, because, let's be honest, those answers can get pretty heavy, and I wasn't in it to sway readers one way or another—it was more about providing a collaborative guide, as told by those who understand the landscape best (you know, like the headline specified). Not being vegan, though, I've always been curious about the blurry line that honey draws. How is the insect world regarded by vegans, and are the debated practices of beekeepers—splitting colonies and smoking hives to disorient and control—ethically sound? The animal by-product gelatin, which is taken from skin and bones and acts as a gelling agent in food and pharmaceuticals (think Jello and Advil Liqui-Gels, for example), was often debated among my veg friends, with some shrugging it off and others diligently checking the ingredients list on a bag of Skittles. (If you didn't know, the rainbow actually tastes vegan now—Skittles phased out gelatin a couple of years back). Now, I'm by no means comparing the consumption of gelatin to that of honey, but instead wondering if there's a similar split. The flexitarian ethic is beginning to creep into the most ardent sector of the meat-free population: the vegans. In recent years, some in the community have begun to loosen up the strict definitions and bright-line rules that once defined the movement. You'll never find a self-respecting vegan downing a glass of milk or munching on a slice of buttered toast. But the modern adherent may be a little more accommodating when it comes to the dairy of the insect world: He may have relaxed his principles enough to enjoy a spoonful of honey. The hard-liners argue that beekeeping, like dairy farming, is cruel and exploitative. The bees are forced to construct their honeycombs in racks of removable trays, according to a design that standardizes the size of each hexagonal chamber. (Some say the more chaotic combs found in the wild are less vulnerable to parasitic mites.) Queens are imprisoned in certain parts of the hive, while colonies are split to increase production and sprinkled with prophylactic antibiotics. In the meantime, keepers control the animals by pumping their hives full of smoke, which masks the scent of their alarm pheromones and keeps them from defending their honey stores. And some say the bees aren't making the honey for us, so its removal from the hive could be construed as a form of theft. The flexitarians counter that if you follow the hard-line argument to its logical extreme, you end up with a diet so restrictive it borders on the absurd. After all, you can't worry over the ethics of honey production without worrying over the entire beekeeping industry. 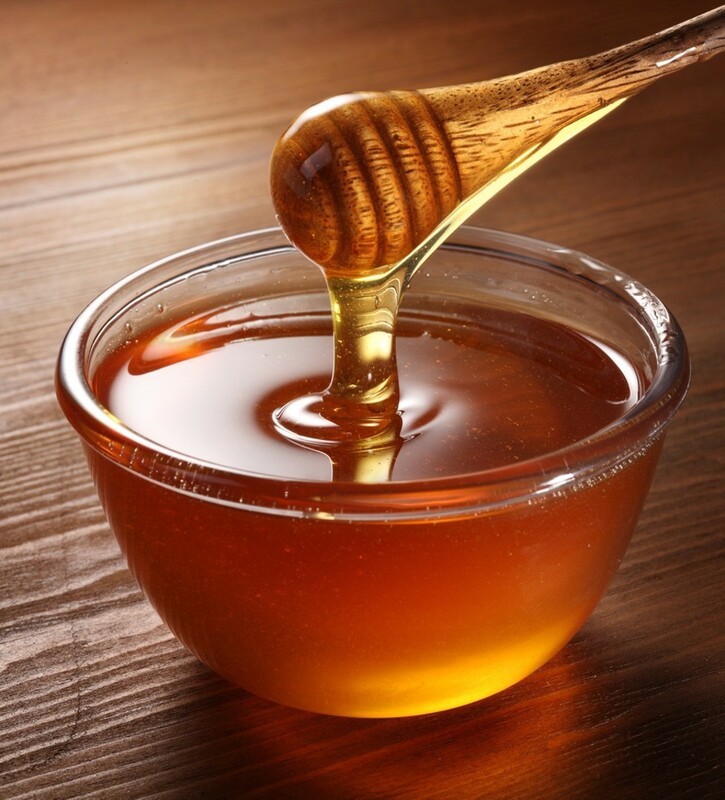 Honey accounts for only a small percentage of the total honeybee economy in the United States; most comes from the use of rental hives to pollinate fruit and vegetable crops. According to food journalist Rowan Jacobson, whose book Fruitless Fall comes out this September, commercial bees are used in the production of about 100 foods, including almonds, avocados, broccoli, canola, cherries, cucumbers, lettuce, peaches, pears, plums, sunflowers, and tomatoes. Even the clover and alfalfa crops we feed to dairy cows are sometimes pollinated by bees. In the end, Engber argues with the help of executive director of Vegan Outreach, Matthew Ball, that the meticulous dissection of a topic like a vegan's consumption of honey works only to undermine veganism, acting less like a microcosm for a greater movement and more like an arbitrary debate that annoys more than solves. I get that, but when the doctrines start to bleed, it seems like a prime opportunity for flexitarians to take even more ownership of a silly title like "flexitarian," stretching the bounds of vegetarianism and veganism even more.